As hospitals continue to face shrinking margins, they must find ways to either increase revenue or decrease losses. Since labor is the largest single cost in almost any hospital’s budget, reducing needless expenses in this area can help shore up the bottom line without affecting the quality of care – or hurting staff morale. 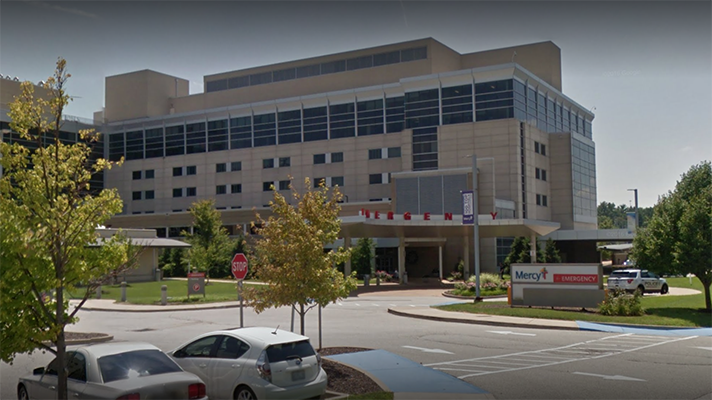 St. Louis-based Mercy Hospital Network decided to look at labor costs, specifically in the area of nursing, and did so using a comprehensive suite of analytics. "Previously, we were using scheduling software as our only means of monitoring nursing labor usage," explained Mike Gillen, vice president of system operations. "With it, we could see tons of data elements around nursing leakage, but it wasn’t organized, aggregated or presented in a user-friendly way that would drive actions." FTE leakage is the difference between what a worker was hired to work (for example, 36 hours or three 12-hour shifts) and what they’re scheduled to work (for example, 24 hours or two 12-hour shifts). In this case, one would say there were 12 hours of labor leaked. Nursing leakage, in its simplest form, is when nurses are not used to their full potential during scheduled shifts. "We knew that if we could pull data from the scheduling software and place it into a data set for analysis and display, we could better identify labor leakage and actions needed to reduce it," Gillen said. So that’s what they did, with analytics. "The final piece was to display this information in a dashboard for quick drill-down by facility and nursing unit. We made it even more actionable by including a link in the dashboard to access the unit schedule and address the leakage proactively." SAP Business Objects is Mercy’s primary enterprise analytics software. In this instance, Mercy used it to create a Lumira dashboard to present actionable intelligence to Mercy service line and operational leaders, including full-time equivalent leakage data for nursing leaders. The data behind the dashboard is loaded into SAP Hana, which provides the ability to process and display the data. The marketplace for healthcare analytics technology is vast. There are many systems and technology suites designed for various applications. Vendors in the market include Acxiom, Arcadia Healthcare Solutions, Ayasdi, Change Healthcare, Digital Reasoning Systems, Flatiron Health, Health Catalyst, Optum, Oracle, PointRight, SAS Institute and Zebra Technologies. Mercy used its advanced analytics to save $4.3 million in one year by reducing nursing full-time equivalent leakage. "Our scheduling software tracked leakage, but the data wasn’t accurate," Gillen said. "Without clear definitions in the scheduling software data feeds, we couldn’t determine true leakage versus a data integrity issue. There was also a lack of leader understanding as to what leakage was or the steps needed to address it." One of the health system's biggest issues had to do with automatic system feeds causing a lack of trust in data. For example, a new hire would be entered into Mercy’s HRIS system, which fed the scheduling software. However, that co-worker couldn’t be scheduled right away because they were still in their 90-day orientation period. The FTE leakage algorithm would show a co-worker hired to work 36 hours a week, but when the scheduling software would see this co-worker not scheduled, it showed them as 100 percent leakage of 36 hours per week. Because of these kinds of data issues, unit leaders didn’t trust the data and had a difficult time distinguishing true leakage. "Analytics would help us solve data integrity issues, as well as compile, analyze and discover actionable steps to address leakage." "With the data coming from multiple sources, we knew we needed to use analytics to solve the problem," Gillen said. "Analytics would help us solve data integrity issues, as well as compile, analyze and discover actionable steps to address leakage." In 2015, Gillen and his team worked with Mercy Technology Services, the IT arm of Mercy, on a discovery project to create a nursing analytics dashboard for tracking multiple performance metrics, including leakage. Early insights proved promising and motivated them to create a dashboard specific to the problem of nursing labor leakage. 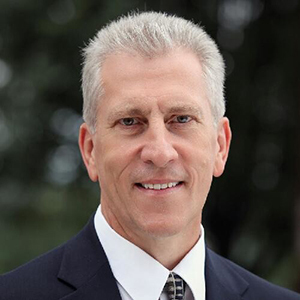 "We knew a critical success factor would be ensuring nursing unit leaders had a clear understanding of leakage and clear definitions or business requirements for the leakage dashboard," Gillen said. "Next, working with Mercy Technology Services’ data engineers, we determined how to gather multiple sources of data into the dashboard." By pulling all the data together, behind-the-scenes analytics could sort through new-hire issues, co-workers out on family medical leave, co-workers on paid time off, etc., and feed that data into the scheduling software, making it so nursing unit leaders could easily distinguish true leakage. For convenience, there were links in the dashboard that would take a unit leader to the scheduling application, where they could take the appropriate action in addressing leakage. "In summer 2016, we launched the FTE leakage dashboard and staff was trained to use it," Gillen recalled. "Over the following 30 to 60 days, we identified issues in the data feeds between Mercy’s HRIS system and the scheduling system. Quickly, Mercy Technology Services’ data analytics team went to work creating data tables, applying more detailed data attributes and refreshing dashboard data feeds in September 2016." With the dashboard in place, Mercy began tracking FTE leakage and improvements in labor utilization and costs. Based on nursing labor run rates from January through June 2016 compared with run rates from July 2016 through June 2017, Mercy had a 5.03 percent decrease in run rate or $4.3 million in cost savings, Gillen said. There were some challenges to this whole project. One of the challenges was technical, bringing data from an SaaS application into Mercy’s data warehouse. "Some of the data used by the leakage dashboard comes from a SaaS system," said Curtis Dudley, vice president of data. "We had to build custom data integration with the SaaS vendor to retrieve and store the data in Mercy’s data warehouse. This proved to be challenging and took considerable time." Understanding its data model and mapping its data elements into Mercy’s data warehouse required participation from the vendor, Mercy’s internal subject-matter experts and Mercy Technology Services’ data architecture team. Once the data was retrieved, stored and available for use in the dashboard, Mercy conducted user-acceptance testing to identify any necessary adjustments. There also were human challenges to the nursing FTE leakage analytics program. "One of the biggest human challenges was making FTE leakage a priority," Gillen said. "Nursing leaders have many responsibilities: patient safety, regulatory compliance, ensuring nurses have resources they need to care for patients, managing staffing issues like call-ins, on-boarding, injuries, etc. To see positive change, we needed nursing leaders to make it a priority and to hold their teams accountable." Because there wasn’t good data previously to drive staffing decisions, leaders had their own method for ensuring they had nurse resources to take care of patients, and those methods became hard-to-break habits. "For example, some nurses were more willing or had more flexibility to pick up shifts on short notice," Gillen said. "They become the path of least resistance, but this wasn’t always the best solution, nor was it a cost-effective solution. Without data to identify leakage, we were paying Mercy nurses short-notice incentives, callback or overtime to staff, as well as paying for outside agency labor to fill leakage when Mercy had nurses, but they weren’t working their hired hours." Another human challenge had to do with distrust of the data. Once Mercy cleaned up the data, as well as refreshed and re-launched the FTE leakage dashboard, nursing leaders were resistant to use it because of a lack of trust. "We had to amplify education and training to prove that the new leakage dashboard could help them stay on top of leakage," Gillen said. "With it, they could reduce vacant shifts, ensure nurses were scheduled their hired hours and improve the financial performance of their units. To help, some nurse leaders created standard work for staying on top of FTE leakage, thereby making it and keeping it a priority." Healthcare today is faced with an imperative to harness the IT and data infrastructure built in the last decade to provide better, more cost-effective care. "Reimbursement relies on it and patients expect it," Dudley said. "Providers have to be operating efficiently and reducing waste. Advanced analytics have been, and continue to be, a game-changer for Mercy. Today, Mercy’s physicians, care team and leaders have intelligence – not just data – at their fingertips to boost productivity and drive improvements that minimize unnecessary care and cost, and keep patients healthier."